Backstedt Coaching has been formed by Magnus Backstedt to create an environment for every rider to have a knowledgeable coach at hand. Our coaching team has over 25 years of experience at the very top of Women and Mens pro scene. With Magnus’ experience in Ironman triathlon we are also able to offer coaching for swimming and running. We are looking forward to being part of your success story in cycling and Triathlon. Magnus Backstedt was born in Linkoping Sweden in 1975 and became a professional cyclist in 1996. Magnus showed signs of his talent in the spring of 1998 by placing 7th in the Queen of the Classics – Paris-Roubaix. He went on to win a stage of the Tour De France that year and officially hit the big time. 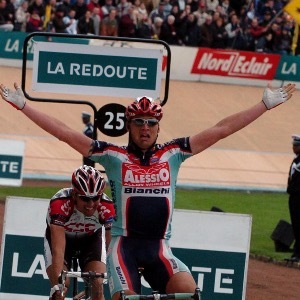 Magnus or ‘Maggy’ continued his successes as a professional for a number of years before claiming his greatest win, the 2004 Paris-Roubaix. In 2007 Magnus became Swedish National Road Race Champion and went on to win a stage in the Giro d’Italia in 2008, before his first retirement. Magnus later started his own team with his former manager Martin McCrossan. He managed as well as coached the riders for Sprocket Pro Cycling and later Team UK Youth. Since the beginning of 2013 Magnus has been racing Ironman triathlons, during which time he managed to qualify for Kona after only 8 months of training. His ability to interact with people from around the world is one of Magnus’ strong points due to his language skills. Magnus has always been looking for the competitive edge and in doing so has worked with the best coaches in the world, learning and understanding how to devise training plans to get the maximum out of himself. This is now something that he is putting in to practice with the athletes he coaches. Hard work always pays off! I prefer if the athlete has a pwoermeter but not limited. If a heart rate monitor is available that is perfectly fine. Success. Coach Magnus Backstedt has been notified of your message.